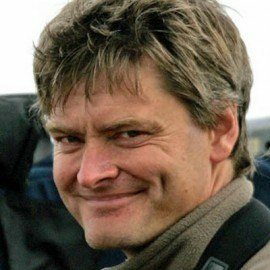 John Aitchison is a wildlife filmmaker. He has worked on many programmes for the BBC, National Geographic and Discovery Channel including Planet Earth II, The Hunt, Frozen Planet, Life, Big Cat Diary, The Natural World, Springwatch and Yellowstone. He also did camera work on a programme he produced, The Amber Time Machine, which features David Attenborough’s quest to discover what amber can tell us about the past. John is a double Bafta and Emmy winner for his work both as a nature documentary producer and cameraman. 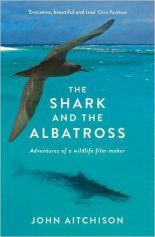 His first book, THE SHARK AND THE ALBATROSS: Adventures of a Wildlife Filmmaker, was published in the UK in October 2015 by Profile and North America in May 2016 by Greystone Books. “These evocative stories are from the heart of the keenest observer, a skilled cameraman and a superb naturalist” – Chris Packham.